Book directly to get the best possible rate. 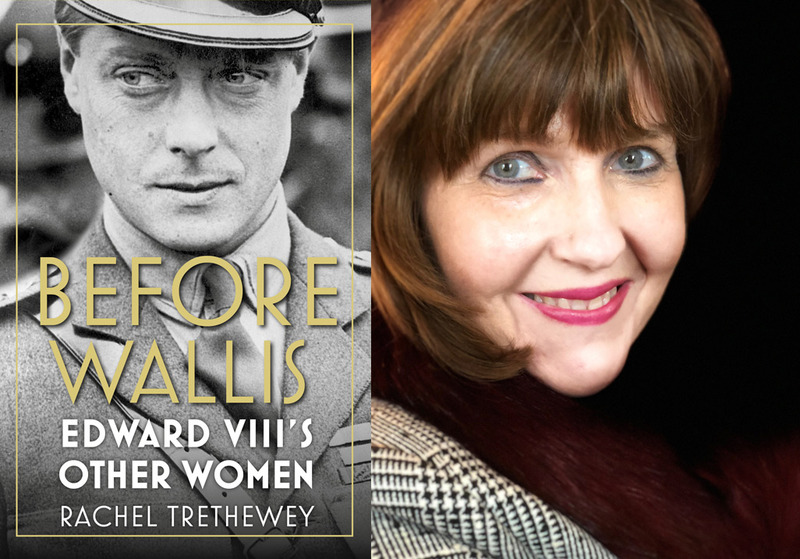 RACHEL TRETHEWEY AND ‘BEFORE WALLIS’. The intense romance between Edward V111 and American divorcée Wallis Simpson, that led to his abdication, is well documented. Yet three other women – Rosemary Leveson Gower, Freda Dudley Ward and Thelma Furness – challenge the narrative that Wallis was the only woman that Edward wanted to marry. ‘Before Wallis’ reveals the lives of these three captivating women and their impact on the heir to the throne during his formative years. While Rosemary Leveson Gower would have made the perfect match for a future king, her mother’s racy past met with the great disapproval of Edward’s mother Queen Mary – and so the romance fizzled out. To Freda Dudley Ward, Edward wrote: ‘If you knew how deeply and truly I loved you to the exclusion of all else in the world…” The pull she exerted over Edward for 16 years was almost equal to that of Wallis. Yet Freda was a married woman, a mother and already had another lover. Like Wallis Simpson, Thelma Furness was American. She too was twice-married and so knew that her domestic life with Edward could not last. It was she who fatefully introduced Wallis to the then Prince of Wales. Through hundreds of love letters, contemporary accounts and the Duke of Windsor’s will (opened by the High Court for the first time for this book), Rachel Trethewey provides fascinating insight into Edward’s behaviour and questions whether he really wanted to be king at all. While reading History at St Edmund Hall, Oxford, Rachel Trethewey won the Philip Geddes Prize for student journalism. She then gained an MA in Victorian studies at Exeter University in 2013. Her biography of “Georgina, Duchess of Bedford’ was published in 2002. Released in March 2018, her book ‘Pearls Before Poppies’ then told the story of the women behind the Red Cross pearl necklace campaign of 1918. Rachel has contributed feature pieces for the Daily Mail, Daily Express and The Independent. After the talk, there will be a book signing and sales session for ‘Before Wallis’ (not included in ticket price). Tickets to attend must be reserved in advance by contacting the hotel’s sales office on 020 7935 8131 (Ext. 705) or e-mailing jennymiller@durrantshotel.co.uk.